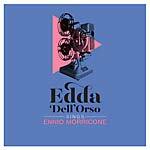 Edda Dell'Orso (born Edda Sabatini, February 16, 1935) is a legendary Italian singer who has long been the vocalist of choice for the maestro Ennio Morricone. She has provided vocals, often wordless singing, to countless Morricone scores beginning in the mid-1960s and most famously for the immortal score to Il Buono, Il Brutto, Il Cattivo (The Good, The Bad And The Ugly, 1966). This collection compiles, for the first time in one place, many of her finest performances for Morricone, including such legendary films as C'era Una Volta Il West (Once Upon A Time In The West, 1968), Cosa Avete Fatto A Solange? (What Have You Done To Solange?, 1972), and the aforementioned The Good, The Bad And The Ugly. Goodfellas present this one-of-a-kind collection that highlights the unique talents of Edda Dell'Orso with her longtime collaborator, Ennio Morricone. The maestro has long been acclaimed for his brilliant use of vocals in his scores and none of that would have been possible without the work of the Dell'Orso, who has been behind the scenes of his finest work for five decades. Also features performances for the TV film Orient Express, La Donna Invisibile (1969), Secret Of The Sahara (1988), Gott Mit Uns (1970), Scusi Facciamo L'amore (1969), L'uomo Proiettile (1995), and Veruschka (1971). Goodfellas present a reissue of Armando Trovajoli's soundtrack for Brutti, Sporchi E Cattivi, originally released in 1976. 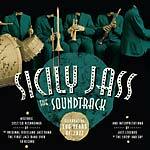 The soundtrack composed by Trovajoli - famous for standard jazz records, such as Trovajoli Jazz Piano (1959), and soundtracks, including 1973's Sesso Matto (SME 025LP), C'Eravamo Tanto Amati (1974), and The Beat Generation (1960), to name but a few - highlights the composer's skills in this amazing dark humor comedy directed by Ettore Scola. The movie was awarded the Prix de la Mise en scène at the Cannes Film Festival in 1976. Down And Dirty was originally titled Brutti, Sporchi E Cativi in Italy. 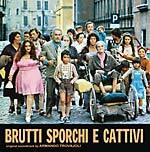 That translates literally to "dirty, nasty and bad", in reference to the lower-class characters and surroundings in this Ettore Scola film. Scola zeroes in on a particularly offensive Roman family. The stingy patriarch, Nino Manfredi, is personally wealthy but morally bankrupt, and his repulsive view of life trickles down to every member of his clan. Not content with corrupting his own flesh and blood, Manfredi spreads his philosophy throughout his village, where he functions as slumlord. By the time Manfredi's wife and sons begin plotting his murder, the audience is ready for a long, cold shower, with plenty of soap. The music is full of dramatic breaks and loose grooves. Available on vinyl again for the first time since its original release. 2014 release. In 1962, Pope Giovanni XXIII set out the second Vatican council. It was a time of modernization through the expectations of a changing nation, and the Catholic Church reformed many of their fundaments. It was in this way that in the middle of the '60s, even the hippies and their guitars, after being widespread in the streets and clubs all around Italy, got a foot in the door of churches and parishes. The beat sound began to play in fervent Catholics' ears and the "Messe Beat" movement became common in all the country. Through the protagonists of that season (Dario Salvatori, Bruno Rukauer - Clan Alleluia, Gege' Polloni - Gli Amici, Giovanni Sabbatucci, Mauro Scaringi, and many others) and the brand new band Complesso Gli Illuminati, this documentary pieces together the origins of this musical movement that has been enjoyed, and is continuing to be enjoyed, by an highly heterogeneous audience. This release includes the documentary film directed by Paolo Fazzini, Che Il Mio Grido Giunga A Te, on DVD along with the first CD reissue of Complesso Gli Illuminati's debut album Prendi La Chitarra E Prega, originally released in 2008 on vinyl by Hit Bit Records. Complesso Gli Illuminati are a psych-beat meets The Who group with religious lyrics hailing from Roma, Italy. DVD is in Italian with English subtitles; DVD is PAL format, region free. 2015 release. 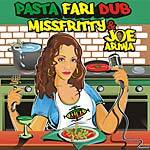 Pastafari Dub is the debut album by Miss Fritty with dubs by Joe Ariwa. 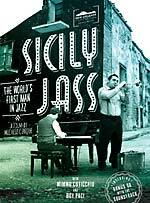 It's a kind of "linguistic experiment" that comes from the desire to link the Italian/Apulian culture and the Jamaican one in terms of music, cuisine and everyday life. The result is a "melting pot" of slang - Italian and English - on roots reggae rhythms, extending the Apulian dialect to a wider audience. The voice of Miss Fritty and the dub of Joe Ariwa, son of the well-known producer Mad Professor, come together in a special sounds that gives to the typically British roots rock reggae sound an Apulian flavor, creating a connection between the two cultures. The soft atmospheres of the songs are the fulcrum around the entire album, the sensuality of the sound gives to the project a distinctly "woman touch". This is not a concept album, but the "woman" is at the center of the project. The album also contains the single "Maphia" where Miss Fritty duets with Michael Prophet, roots reggae veteran well-known for his "crying" tenor voice. The producer of the project is the famous Mad Professor, a prominent figure among dub musicians which has collaborated with world-renowned artists like Lee "Scratch" Perry, Sly and Robbie, Horace Andy and Pato Banton and, outside the confines of the Jamaican music, the British duo Massive Attack. The work was mainly done in London at Ariwa Studios Ltd, under the supervision of Joe Ariwa, Mad Professor and other well-known musicians such as Black Steel and Horseman that give to the album an organic and unique sound. The poetic inspiration for the lyrics came to Miss Fritty when she was travelling between London and Bari. LP version. 2015 release. Pastafari Dub is the debut album by Miss Fritty with dubs by Joe Ariwa. It's a kind of "linguistic experiment" that comes from the desire to link the Italian/Apulian culture and the Jamaican one in terms of music, cuisine and everyday life. The result is a "melting pot" of slang - Italian and English - on roots reggae rhythms, extending the Apulian dialect to a wider audience. The voice of Miss Fritty and the dub of Joe Ariwa, son of the well-known producer Mad Professor, come together in a special sounds that gives to the typically British roots rock reggae sound an Apulian flavor, creating a connection between the two cultures. The soft atmospheres of the songs are the fulcrum around the entire album, the sensuality of the sound gives to the project a distinctly "woman touch". This is not a concept album, but the "woman" is at the center of the project. The album also contains the single "Maphia" where Miss Fritty duets with Michael Prophet, roots reggae veteran well-known for his "crying" tenor voice. The producer of the project is the famous Mad Professor, a prominent figure among dub musicians which has collaborated with world-renowned artists like Lee "Scratch" Perry, Sly and Robbie, Horace Andy and Pato Banton and, outside the confines of the Jamaican music, the British duo Massive Attack. The work was mainly done in London at Ariwa Studios Ltd, under the supervision of Joe Ariwa, Mad Professor and other well-known musicians such as Black Steel and Horseman that give to the album an organic and unique sound. The poetic inspiration for the lyrics came to Miss Fritty when she was travelling between London and Bari. 2011 release. Goodfellas present a reissue of Picchio Dal Pozzo's self-titled album, originally released in 1976. Picchio Dal Pozzo can be considered as the definitive "Canterbury"-inspired band coming from Italy's 1970 progressive rock scene. Their 1976 debut album shows an incredibly rich sound tapestry, made out of some peculiar ingredients. Oblique tunes and liquid harmonies, airy flutes, crispy horns, loads of electric piano and fuzz bass, drops of jazz, pop romanticism, waves of minimalism and deep pataphysical vocals and lyrics. The whole album develops through a sequence of highly composed material and wide open sound forms. A deep journey through a multi-layered soundscape with echoes of Hatfield & The North, Soft Machine, Robert Wyatt and Zappa. Picchio Dal Pozzo's first work was out on Grog Records and subsequently reissued only in Japan (Grog Records was an independent label known for releasing the work of Italian underground pop groups of the seventies such as Corte Dei Miracoli, Latte e Miele and Celeste). 180 gram vinyl. "One of the most original, impressive and highly respected of all the experimental groups to have come out of Italy in the 1970s" --Chris Cutler. 2014 release. An international collaboration recorded in Memphis and Rome, Scrapyard is a conversation between Adriano Viterbini and Reed Turchi, an exploration of styles and sounds, sparked from an impromptu performance together in November of 2013. This is the blues you do not expect. Fresh and young, these two talents create a work that is both traditional and contemporary at the same time. Adriano Viterbini, front-man of Bud Spencer Blues Explosion, and Reed Turchi (idol of the alternative country and blues scene, described in some parts as the illegitimate son of Randy Newman and JJ Cale) met for the first time in Rome, soon after finding themselves on a stage in an improvised performance together. Scrapyard collects eight songs whose sound is deliberately blues, in the hill-country and delta forms, complemented by American-primitive elements as well as a strong cinematic vision. All conceived, designed and performed with rare taste and balance. The Bud Spencer Blues Explosion in cahoots with the new idol of alternative American blues. 2014 release. 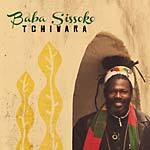 Baba Sissoko is one of the best artists to come out of Mali. Born in 1963 in the capital city Bamako, Sissoko is a poet and singer of the griot tradition and a talented multi-instrumentalist of international fame. He is a missionary to a certain degree, his music a key element in the discovery of the origins of the blues. During his career he met several black icons, like singer Dee Dee Bridgewater, who he wrote the song "Red Earth" for. The meeting with Famoundou Don Moyè and the Art Ensemble Of Chicago was pivotal in trading the "amadran" (the true original form of the blues) with jazz. Just check the two albums Bamako Chicago Express (2002) and Reunion (2003). Further on he met more iconic artists as Youssou N'Dour, Oumou Sangare and the Buena Vista Social Club crew. From 1998 on, Baba has chosen Italy - Calabria in the end - as a proper hometown, while still traveling all around the globe. Tchiwara is necessarily urgent, it shares the same electricity of western rock, an appropriate tendency behind extended jams. With new crew members Angelo Napoli (electric guitar), Dario Triestino (electric bass) and Roberto Coscia (drums), Baba is free to dialogue between the roots of Afro-blues and the most recent hybrid of ethno-jazz-rock. Leading with a solid touch a large ensemble of co-operators - family members Djana Rosa (voice and chorus), Giulia Sokona (violin), and Roberto Madou (keyboards, drums, percussion) - Baba is the harmonic key behind the compositions. He plays traditional instruments such as ngoni, tamani, doun doun, karahnan, kamalengoni, djembe and calebasse, alongside acoustic guitar and bass. Tchiwara is easily one of his most daring works yet, leading the way to bring the African forerunners to their contemporary western followers. 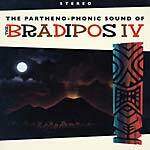 Goodfellas present the release of The Partheno-Phonic Sound Of The Bradipos IV a new album by The Bradipos Four. With their almost twenty years of experience, The Bradipos Four can be considered one of the best surf-rock combos on the European scene. The new album, The Partheno-Phonic Sound of Bradipos IV, consists of a great collection of surf arrangements for classic songs coming from the Neapolitan music tradition. It's amazing to discover how those old traditional melodies fit perfectly the surf-rock atmospheres. In fact, the result is a whole mix of different traditions which have developed from various cultural crossings between USA, Mexico, the Caribbean and the Mediterranean. Calm'n'Chaos is Christian Cutuli's electronic project. Cutuli is a widely respected Italian producer, composer, arranger and multi-instrumentalist. 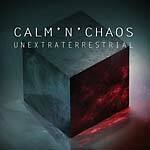 Unextraterrestrial was produced and written entirely by Cutuli and mixed along with the legendary Grammy nominated producer, Tim Palmer (David Bowie, U2, Tears For Fears, The Cure, Pearl Jam, Robert Plant, Nightwish and many others). Calm'n'Chaos blends Cutuli's great taste and technical skills with cinematic atmospheres, rock, wave and world music, and influences that range from Depeche Mode's synth pop to Recoil's electronic experimentation, from old school EBM to Antony And The Johnsons's innovations. In parallel with his activity as a film composer, Christian has produced several projects, always in the name of creating a melting pot of melody and sound research. He has collaborated with important artists from the wave/electronic and world music scene. Many collaborators are featured on Unextraterrestrial: The composer and singer Ké (the author of the 1995 global hit single "Strange World"), the British producer Ian Little (Duran Duran, Talk Talk, Roxy Music), the international hit-maker and pop producer Alexander Bard (Army Of Lovers, Vacuum, Alcazar, Gravitonas), DJ Ritu (a well-known BBC Radio host) and others. 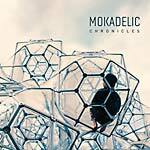 Goodfellas present Mokadelic's new album, Chronicles. Mokadelic is considered the best Italian psychedelic-post-rock collective, a powerful band influenced by both the great Italian soundtrack composers of the '60s and '70s, and by bands such as Mogwai, Godspeed You! Black Emperor and Explosions In The Sky. After years of experience in the field of film music, including collaborations with directors such as Gabriele Salvatores and Stefano Sollima, Mokadelic became world famous thanks to their original soundtrack to the Italian TV series, Gomorrah (GDM 2101CD/LP, GDM 6650LP, 2016). That soundtrack was an emotionally intense musical narrative, including both spacious, melancholic atmospheres and extremely dense climaxes, all inspired by the haunting realism of the TV series. Chronicles appears to be their first stand-alone album since 2006; the first piece of work with no connections to film soundtracks or other special projects. A highly dense double set of music including a first volume (tracks 1-8) of post-rock oriented soundscapes, strategically followed by a heavy, electronics inspired second chapter (tracks 9-16). "Sleep One Eyed" features Nicolò Fabi. Double LP version. Goodfellas present Mokadelic's new album, Chronicles. Mokadelic is considered the best Italian psychedelic-post-rock collective, a powerful band influenced by both the great Italian soundtrack composers of the '60s and '70s, and by bands such as Mogwai, Godspeed You! Black Emperor and Explosions In The Sky. After years of experience in the field of film music, including collaborations with directors such as Gabriele Salvatores and Stefano Sollima, Mokadelic became world famous thanks to their original soundtrack to the Italian TV series, Gomorrah (GDM 2101CD/LP, GDM 6650LP, 2016). That soundtrack was an emotionally intense musical narrative, including both spacious, melancholic atmospheres and extremely dense climaxes, all inspired by the haunting realism of the TV series. Chronicles appears to be their first stand-alone album since 2006; the first piece of work with no connections to film soundtracks or other special projects. A highly dense double set of music including a first volume (tracks 1-8) of post-rock oriented soundscapes, strategically followed by a heavy, electronics inspired second chapter (tracks 9-16). "Sleep One Eyed" features Nicolò Fabi. 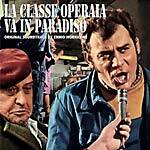 Goodfellas present a reissue of Ennio Morricone's soundtrack for La Classe Operaia Va In Paradiso, originally released in 1971. La Classe Operaia Va in Paradiso was another strike for maestro Ennio Morricone, one of the most in-demand composers and arrangers of the time. Avant-garde and slo-funk - with scary fuzz and wah-wah guitars - collide on the track "Metamorfosi" and before you know it, you are in the same vertigo generated by Gruppo D'improvvisazione Nuova Consonanza. Classical and lush orchestrations are found, while pounding rhythms are the main course for the original theme: a violin solo offers a dramatic view of the main score just before an aggressive guitar break enters the psych-o-rama. 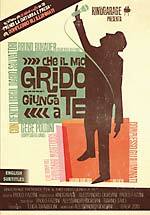 The movie directed by Elio Petri was a dramatic take on the main social issue of the early '70s, dealing with the heavy conditions of the working class. This is one of the most sought-after soundtracks of Morricone's experimental side, evident by the original tribute set by John Zorn for The Big Gundown in 1986 ("Metamorfosi" was then performed by a who's who cast of stars featuring Vernon Reid, Bob James and Diamanda Galas). 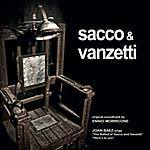 Goodfellas present a reissue of Ennio Morricone's soundtrack for Sacco & Vanzetti, originally released in 1971. A political statement, so to speak, the movie directed by Giuliano Montaldo in 1971 focused on the unfortunate events leading to the death of Italian immigrants Sacco and Vanzetti. The score was composed by maestro Ennio Morricone and featured two exclusive tracks sung by legendary singer/songwriter Joan Baez ("Here's To You" and "La Ballata Di Sacco E Vanzetti"). This is one of the most classical oriented scores composed by the maestro, with large strings arrangements and classical guitar parts. 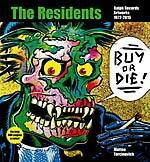 "One of the most original, impressive and highly respected of all the experimental groups to have come out of Italy in the 1970s." -- Chris Cutler. "Picchio dal Pozzo can be considered as the definitive 'Canterbury' inspired band, coming from Italy's 1970s progressive rock scene. Their 1976 debut album shows an incredibly rich sound texture, made out of some peculiar musical ingredients. Oblique tunes and liquid harmonies, airy flutes, crispy horns, loads of electric piano, fuzz bass, drops of jazz, pop romanticism, waves of minimalism, and pataphysical vocals and lyrics. The whole album develops through a sequence of finely composed material and wide open sound choices. A deep journey through a multi layered soundscape with echoes of Hatfield and the North, Soft Machine, Robert Wyatt, Zappa. PDP's first work was originally released on Grog Records and subsequently reissued only in Japan. (Grog Records: an independent label, known for releasing the work of Italian underground pop groups of the 70s, such as Corte Dei Miracoli, Latte E Miele, and Celeste)."